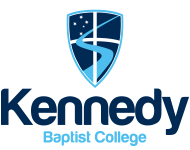 Kennedy Baptist College is a co-educational school catering for students from Year 7 – 12. The College has a 'non-discriminatory, open enrolment' policy, welcoming applications of registration for enrolment from students regardless of race, gender, religion or ability. Affiliation with a church is not a prerequisite for enrolment, however, students and parents must recognise that the College maintains a Christian ethos and accept that teachers have the right to interpret knowledge from a Christian perspective. The College seeks to enrol children who are committed to engage in the academic program we offer, who demonstrate energy and enthusiasm to participate in College activities, and whose families understand and are supportive of the College mission, values and ethos. We accept all application for enrolments. Submission of an application does not guarantee a place. All applicants are assessed against the criteria noted in this Policy. Placement preference is given to pre-enrolled siblings of existing College families. For new families, placements are offered in chronological order of registration. The date of receipt of application for registration is therefore a major factor when deciding offers of places at the College. Our entry year level is Year 7. We will consider applications for entry to other years if places are available. As we have a limited number of places to offer, it is often necessary for applications to be waitlisted. Once we have offered all of the available places we will refer to a waiting lists of those applicants still seeking a position at the College to make further offers of enrolment if vacancies become available. Priority will be given as noted in Our Selection Criteria. Registration of Interest Application. The family is placed on the waitlist for the requested year of enrolment. Parents/Guardians will be notified of interview times by letter or phone and provided an Information required for interview Form. The completed form and all requested paperwork must be submitted three (3) days prior to the interview with the Principal. Interview with the Principal and further information collection. The student being enrolled into the school is to attend the interview.If a student applying to be enrolled has a specific need, disabling condition or significant health care needs, the Principal will assess and consult with relevant parties in order to adequately discuss how the College can cater for the student’s specific educational and care needs. Offer of an enrolment place from the Principal asking parents/guardians to accept or reject offer. Parents/Guardians are required to complete and sign the Enrolment Contract within two (2) weeks of the offer. This is a contractual agreement between the College and the parents/guardians and outlines the obligations of parents/guardians in return for the enrolment of their child at the College. The position is confirmed once the Enrolment Contract has been signed and returned to the College, and the enrolment deposit has been paid. The final decision for any enrolment/placement is at the discretion of the Principal. Parents/Guardians may accept a place for their child by signing the enrolment contract and paying the enrolment deposit. This will establish the parent/guardian’s agreement to support the College rules and policies, to pay the College fees and other charges, and to accept the terms and conditions of enrolment and the consequences of suspension or termination. A family registration fee to be paid by parents/guardians at the time of registering interest. This amount is non-refundable and does not guarantee a place at the College. An enrolment deposit to be paid by parents/guardians when they accept an offer of enrolment. This amount is non-refundable if the parents/guardians should subsequently decide not to proceed with the enrolment offer. For international students please refer to International Students on our website. Placement of a name on a waitlist does not create any legal obligation upon the College to make a place available or in a particular order. No warranties are made in relation to any particular order in which names are placed on the list. When a vacancy becomes available at the College, the next family on the waitlist will be contacted for an interview. If we offer your child a place for a particular entry year level, the offer applies only to that year level of entry; it does not apply for a later entry year level. For example, if we offer your child a place at the College starting in Year 7, but you then decide to defer your child’s entry until Year 8, you cannot defer the original offer to take it up at the later entry year level. In these circumstances we will put your child’s name on a waitlist for their preferred year of entry. The deferral of offer date will become your new application date. Offers for the new entry year will be made based on the revised application date for enrolment. The College has been established specifically to provide a Christian education within a Christian environment. Students enrolling at the College are not required to have a commitment to the Christian faith, but are enrolled in the College on the understanding that they will engage in the Christian program of the College and that Christian values and a biblical world view will be incorporated into all aspects of the life of the College, including the Curriculum. Students of any or no religious affiliation are eligible to be enrolled at the College. The College seeks to provide a non-discriminatory environment for all staff, students and visitors and will not discriminate in its student enrolments on the basis of disability. Any information provided will not jeopardise parents/guardians’ application for enrolment. In order for the College to provide the best education and care for the child, all required and relevant information must be disclosed for any additional learning needs and medical conditions. details of any medical condition their child is known to have and any procedure to be followed if the condition requires or may require support during the school day. If the parent/guardian has knowingly withheld information relevant to the application and enrolment process, then the Principal reserves the right to refuse, or terminate, enrolment on these grounds. All enrolment information parents/guardians supply during the enrolment process will be kept private and confidential and accessed only by those staff involved in the enrolment process. If an application to register is not successful we will destroy the information, unless parents/guardians request that we retain the information for consideration should an enrolment place become available later. fully completed all forms and requests for information. If a parent/guardian withholds information relevant to the registration and enrolment process then the Principal reserves the right to refuse or terminate the enrolment process on these grounds. The College has an annual tuition fee and other charges which are payable as per the enrolment contract and Fees and Charges Brochure. All fees and charges are reviewed annually and approved by the Board. The current tuition fees and other charges, including discounts, are published annually in our Fees and Charges Brochure and on our website. Different conditions and fees apply to International Students. These conditions and fees are available on our website and by contacting the Registrar. Under Australian Law, where this is relevant, both parents/guardians must receive information and be involved in the decision making about their child’s education, unless the courts have ordered otherwise. The College communicates with both parents/guardians as per the contact details supplied on the Enrolment Contract and/or as changed with student information updates. 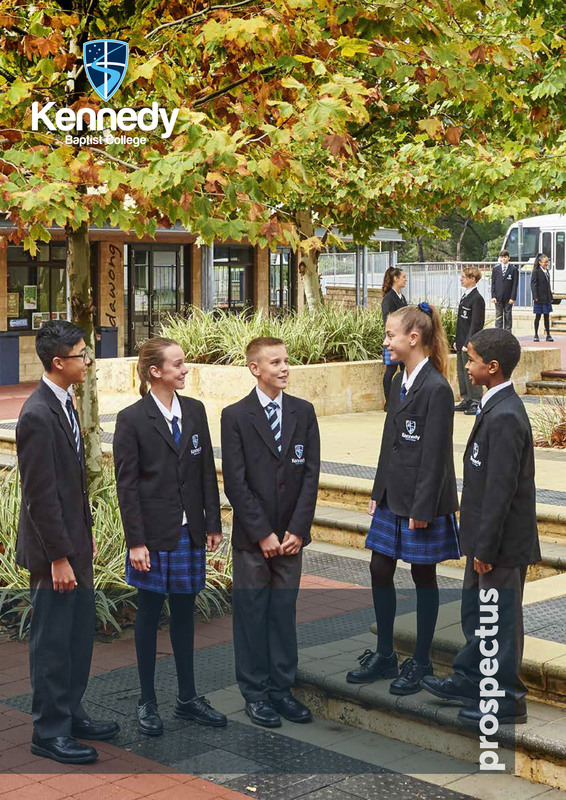 Learn more about all that Kennedy has to offer.